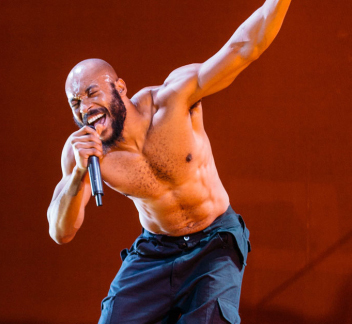 Following a sold out run at Bush Theatre and now a transfer to the West End, Afridiziak Theatre News caught up with actor and writer Arinzé Kene amidst his rising success with Misty, the play everyone’s talking about! Tell us more about Misty and what inspired you to write such a ground-breaking piece? I was born in Nigeria and we moved to London in 1991. I grew up in Hackney and moved away for work. When I came back I noticed a lot of changes. When I met up with friends we always marvelled at how much things had changed in Hackney whilst we were still the same at heart; new shops, new people, new places. We had almost become strangers in our own neighbourhood. London is constantly transforming and I decided to write about it, reflect what is happening on these streets and put it on stage. I felt like there wasn’t a play in the West End that reflected London and its diversity and constant transformation. I’m from Hackney too, born and raised so I have noticed all the changes around me too. From your perspective what do you see and what do you think is missing now? As far as what has changed I feel like a lot of the culture I grew up with has been flushed out and now there’s a new culture taking over that’s very different but strangely I am also a part of this new culture. That’s why in the play I didn’t place blame, there is no right or wrong as far as the people I discuss in the play, I just wanted to explore the psychological impact of these changes on one young man who is quite frustrated by the changes around him. How does he feel now that his laundrette is now a coffee shop or the old café he used to get a full English fry-up is now an art space, his mum’s hairdresser is now a Bikram Yoga spot? Where does he fit in all of these changes and why was he not asked about any of it? It just happened that his home was transformed and he still lives there but it is becoming increasingly unrecognisable and even foreign to him. He does not go into that coffee shop, he doesn’t do yoga, the places where he would have connected with people he knew like aunties doing their hair in that hairdressers or his neighbours doing their laundry in the laundrette are no longer accessible to him. He can no longer go to these places and feel at home or that sense of belonging. With Misty I wanted to write something entertaining where we could talk about the effects of gentrification and the impact it has on people socially, psychologically and emotionally. I also wanted us to laugh about it together. I felt like there wasn’t a play in the West End that reflected London and its diversity and constant transformation. This city is an actually living, breathing, growing organism and I felt like we needed a play that was about London now, a story that truly reflected the London that we are living at this moment in time. I have noticed that West End audiences are different not for better or for worse just different and they expect to see something different. The show has been an amazing success! 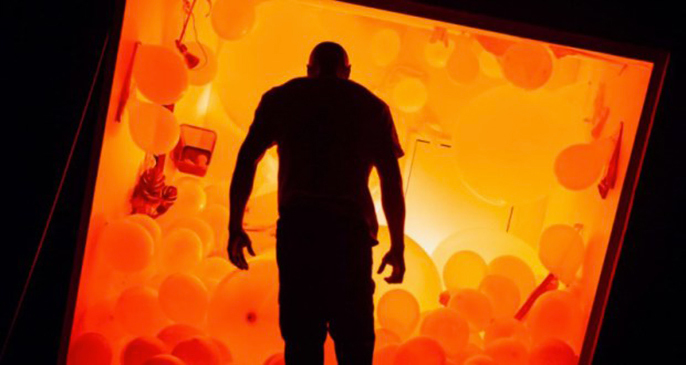 Moving from the Bush theatre to the West End, how has that transition been for you? Here in Trafalgar Studies we are now playing to a bigger audience and initially we went back into rehearsals and improved the play as we wanted to make it bigger. We’ve gone from a 150 seater to a 400 seater. I have noticed that West End audiences are different not for better or for worse just different and they expect to see something different. They are an international audience that have come from all around the country and abroad. The Bush theatre has a beautiful home-grown audience that they have been reaching out to for years, so coming here to the West End you get tourists and people who may not come to the theatre often, it’s scary but also inspiring. I like this new audience, they are more surprised as they have no idea what to expect. 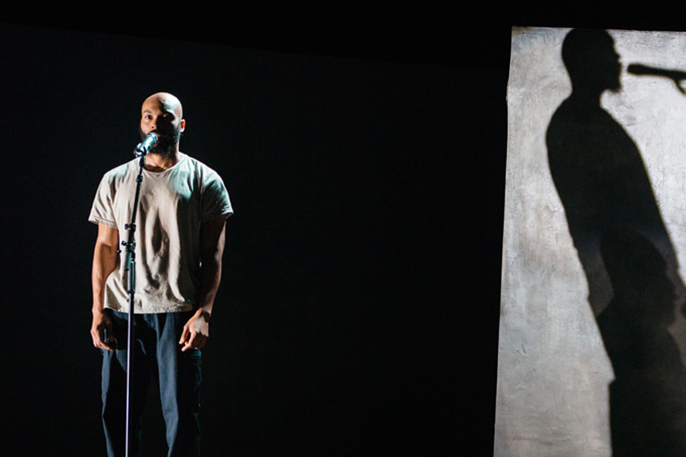 This is an opportunity for a more culturally diverse West End audience. People that I know from my background and the areas I grew up in don’t normally go to the theatre and our faces are normally missing so this a real opportunity for us to be reflected and seen. You’re a relatively young playwright and Misty is not the first play you have written. How have you manoeuvred the perceived social, class, age and racial barriers to reach where you are now? I look older than I am so as far as age I have been lucky to not encounter any condescending behaviour from people I view as my peers. To be honest I just crack on with my work, which is all that you can do. It’s about keeping a positive attitude on things. In any areas of life you will encounter people that come from different schools of thought and question you especially in this industry you are going to come up against challenges and struggles especially when you are developing a new body of work, as we were doing with Misty. Obstacles are to be expected, but that would never stop me. Half of the job in getting Misty on stage was getting people excited about it and keeping them engaged in the process. It is such an innovative body of work and we’ve broken a lot of rules with Misty. It’s not a traditional play at all and is quite absurd - it does what it wants. We knew we’d be up against people who may not get it but we were lucky at the Bush theatre they got it and so did the audience there. If it had been a flop there then we wouldn’t have been able to grow. It has been a big risk but so worth it. Once people can see that you know what you’re doing their confidence in you and your vision grows. I have been lucky that I believed in what I was doing enough to see this through and not give up on it. With Misty I wanted to write something entertaining where we could talk about the effects of gentrification and the impact it has on people socially, psychologically and emotionally. What comes first for you writing or acting? They came simultaneously. Well I started writing first but then took a break and delved into acting. I just want to stay in good work and keep being around people who inspire me. Omar Elerian, Jackie Shemesh, Elena Peña and all the people who worked on Misty with me are geniuses and they helped it become what it is today. I feel so lucky to have been able to work with them and would be so happy to work with them again in the future. Even better would be to find more new talent to work with and develop. To find people who have a passion for making art… That’s what it comes down to we were never trying to make a play, it has always been art. We call Misty a show but this has always been about art rather than a story, we wanted to make something that felt beautiful.